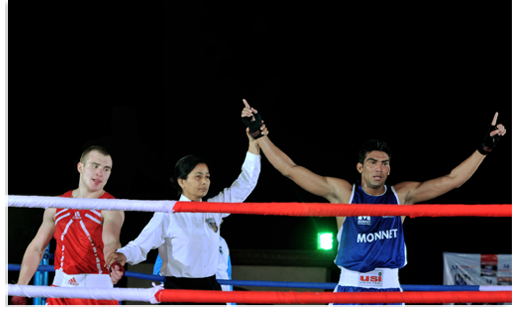 Develop Boxing as a sport in the country – Being associated with Boxing as a sport, Monnet has not restricted its activities to being just the sponsors of the IABF instead it has gone an extra mile to provide a holistic support to boxing in India. Apart from just promoting boxing sport in the country, Monnet Group is also committed towards identifying potential talent and nurturing the same. Setting up Monnet Boxing Academies -Monnet group plans to set up a world class Monnet Boxing Academies to identify amateur boxers from various parts of India and to train them from the grass roots level. Better Training facilities – Aimed at providing better training facilities to boxers and the support staff. Support to National and Zonal Level Championships – Monnet Group supports the national championships such as Nationals for Senior, Junior & Youth for both Men & Women. As we believe that the next medal hopes are to be drafted from these grass roots championships. Support to Chhattisgarh Boxing Federation- Support in the form of providing boxing kit, travel, sponsoring certain tournaments, fitness and healthcare facilities, training equipments, merchandise, apparels and fulfilling all other basic requirements of the entire team comprising of boxers, coaches and support staff. In order to create interest and entertainment value in Boxing in the country, Monnet Group has taken initiatives by organizing Monnet Boxing Fight Nights. 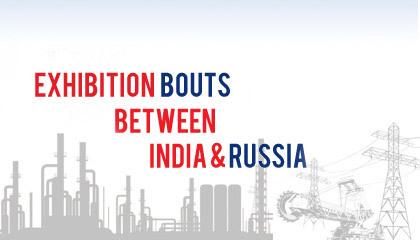 These Fight Nights are friendly exhibition matches between our Indian Boxers and International Boxing Team, to give them their due recognition and desired exposure. With the first fight night held in Delhi and later in Raipur, the Group plans to make Boxing Fight Nights a regular feature.